After a year of research, here finally is the third volume of the Dirty Caribbean Jazz serie ! All titles are coming from early Debs and Célini Aux Ondes 7" recordings. Biguine, Pambiche, Fatou, Boléro-Guajira, Gwo-Ka, Meringue & Compas Direct from the Mid-60s. 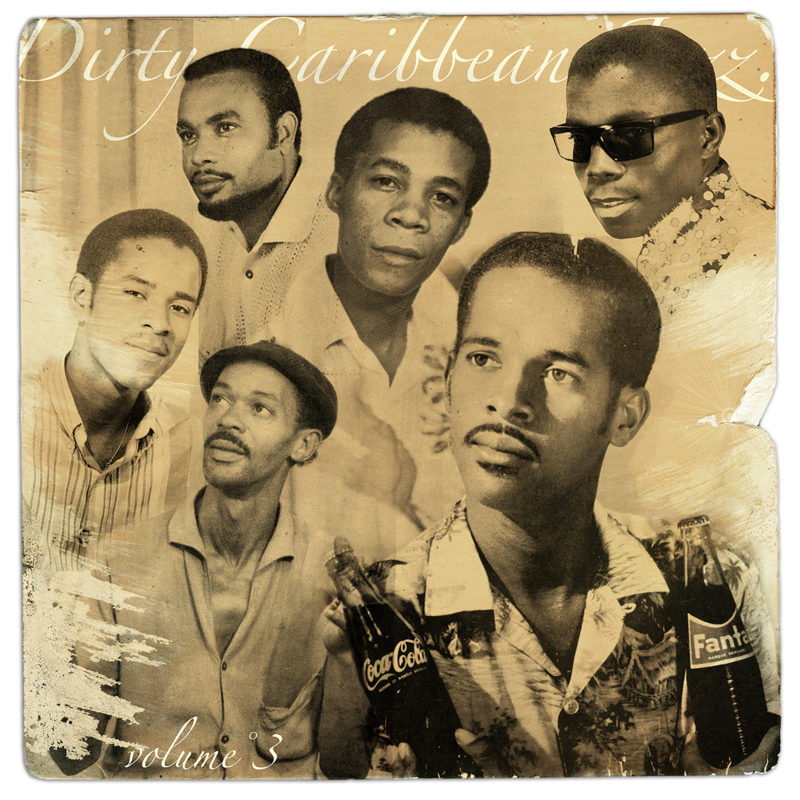 After a year of research, here finally is the third volume of the Dirty Caribbean Jazz serie! 01° DÉCLARATION / Beaujour et ses diables du rythme - Biguine .Aux Ondes RC36. 02° MIEL / Joseph Lacides acc. par Justin Angèle quintet - Meringue .Debs DD20. 03° TI TÉ YA / Beaujour et ses diables du rythme - Gros Méringué .Aux Ondes RC36. 04° CONSEIL BIEN BON / Gérard Valton et Élie Benoit et son Orchestre - Biguine .Aux Ondes RC35. 05° MAM'ZELLE CANCAN / T. Saint Val, sax: Robert Mavounzy - Compas Direct .Aux Ondes RC38. 06° BEL' MÈ A PRESENT / Gerard Valton et Élie Benoit et son Orchestre - Pambiche .AuxOndes RC35. 08° KI VINO / Dolor et ses Étoiles - Fatou .AuxOndes RC34. 09° BAN MOIN CLÉ A TITINE / Guy Conquète - GwoKa .Aux Ondes RC56. 10° EN MÉMOIRE À ROGER FANFANT ET STELLO / Orchestre Fairness - Biguine .Debs DD99. 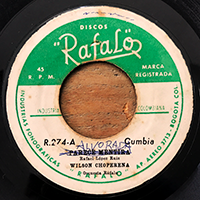 11° MOIN CÉ ON MALÉRÉ / Henri Debs Sextet chanté par Paul Blamar - Boléro-Guajira .Debs DD4. 12° COLLIÉ ET ZANNO / George Tinédor avec Casimir Létang et ses Bongonzons - Biguine .Debs DD27. 13° MÉNAGE CHALVIRÉ / Casimir Letang avec Chil'Debeer et Luce Mornay - Biguine .AuxOndes RC12. 14° CITATION CRÉOLE / Joseph Lacides - Biguine .Debs DD20. Many thanks to Edson for his help in recording those titles and scanning covers. So much delay to answer ah!... Sorry about it! And many many thanks for your comment! Glad you liked it! Beau travail , Merci les Gars !!!!! Reviens tu nous manques salopard ; ) ! Merci à toi pour ce commentaire holo! Très heureux que cette séléction t'ai touché! J'ai publié un mix "Calypso Jazz - Songs of Exile"
Et LES MAINS NOIRES et cette série sont cités ! Hi Jochen! Many thanks for your comment! I'm glad you enjoyed those sounds! Don't forget to spread the word!